Souvenir NameGolf Light Advertising UmbrellaMOQ10PCSProduct Size75CMx8KMaterialPG Umbrella + Fiber R.. 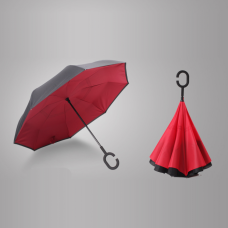 Souvenir NameOil-paper UmbrellaMOQ10PCSProduct Size54/37 CMMaterialUmbrella Silk Coth + Umbrella Bon.. 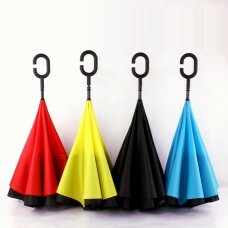 Souvenir NameLighting Inverted UmbrellaMOQ2 PCSProduct Size23", 8kMaterialCanopy Material: Pongee cl.. Souvenir NameMatte Translucent UmbrellaMOQ100PCSProduct Size75x55x96 CMMaterialPlastic+AlloyAvailabl.. Souvenir Name2 in 1 Chair-UmbrellaMOQ100 PCSProduct Size30", 8KMaterial190T Cotton.. Souvenir Name16K Transparent UmbrellaMOQ100PCSProduct Size82x98CMAvailable ColorTransparentProduct N.. Souvenir Name30'' Double Layer Golf UmbrellaProduct Size30'' (Diameter)Available ColorBlackProduct N.. Souvenir NameUpside Down UmbrellaMOQ300PCSProduct Size31 Inch 8KMaterial190T Cloth+Glass fiber+Iron+.. Souvenir NameAdvertising UmbrellaMOQ100PCSProduct Size31InchMaterial170 PolyesterImprint Surface170 .. Souvenir NameBusiness UmbrellaMOQ100PCSProduct Size31InchMaterialChun YafangImprint SurfaceChun Yafa.. Souvenir NameDouble Layer Inverted UmbrellaMOQ500PCSProduct Size23 Inch 8KMaterial190T Cloth+Glass f.. Souvenir NameAdvertising UmbrellaMOQ500PCSProduct Size23 inch 8KMaterial190T Cloth+Glass fiber+Wood .. Souvenir NameAdvertising UmbrellaMOQ500PCSProduct Size23-inch 8KMaterial190T Cloth+Glass fiber+Steel.. Souvenir NameAdvertising UmbrellaMOQ3000PCSProduct Size23-inch 8KMaterial190T Cloth+Glass fiber+Meta.. Souvenir NameAdvertising UmbrellaMOQ500PCSProduct Size27-inch 8KMaterial190T Cloth+Glass fiber+EVA h..